Welcome to Cottons, your source for unique greeting cards, stationery, gifts, and more! 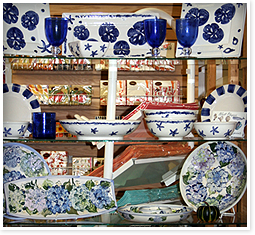 We look forward to seeing you in our Duxbury store. Whether you're searching for a sterling necklace to make a statement, or the perfect gift for a bridal shower, our knowledgeable sales staff is here to help. We offer complimentary gift wrapping as well to ensure your present is just as perfect on the outside as it is inside. At Cottons, our goal is to make every customer a repeat customer. At Cottons, you can always find the ideal gifts for friends and loved ones, or indulge in something special just for you. We hope you'll consider Cottons for all your gift-giving needs. From baby showers to birthdays, we are confident that we can exceed your expectations. Stop by our conveniently located store in the center of town today, or call our friendly sales staff at 781-934-6300. © Cottons. All Rights Reserved.